I wish this weekend would go by MUCH slower. So much to do and so little time. Plus some time to just sit and relax would be nice. A huge thank you to my sister and BIL for giving us a couple electronic devices yesterday. My sister got a new iPhone and since I didn't have one (I'm such a loser), she gave me her old one. My BIL got himself a new iPad so he gave Simon his old one. Simon is overjoyed that he has his own iPad like Isabella. Thank you Kim and Jeff! 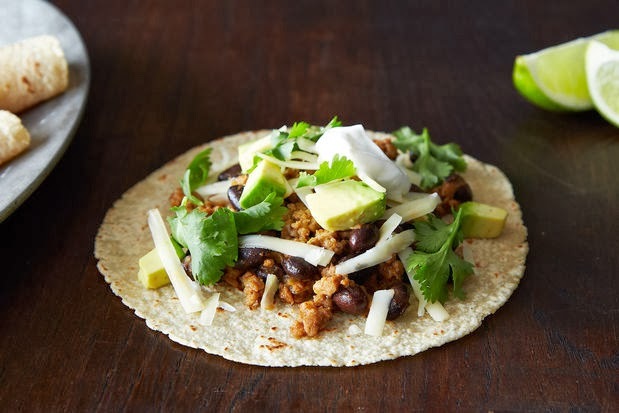 Next up was a favourite with Isabella - coconut lime pork tacos. 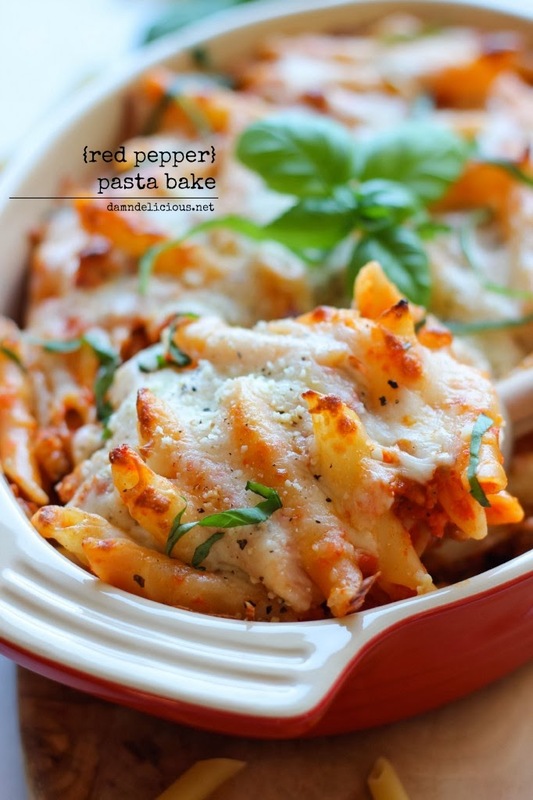 Quick, easy and YUMMY. 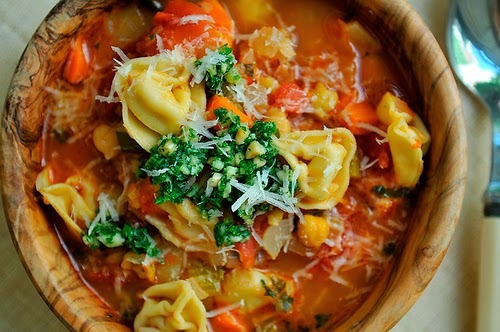 I decided to try this smoky minestrone with tortellini soup on a really cold day we had last week and because I thought the kids would eat it due to the cheese tortellini in it. The kids avoided most of the vegetables and mainly ate the tortellini. Oh well, I tried. It was tasty in my opinion but be prepared for lots of chopping. And today, since the kids don't have swimming on Sundays anymore, I had more time to bake so I baked three things. 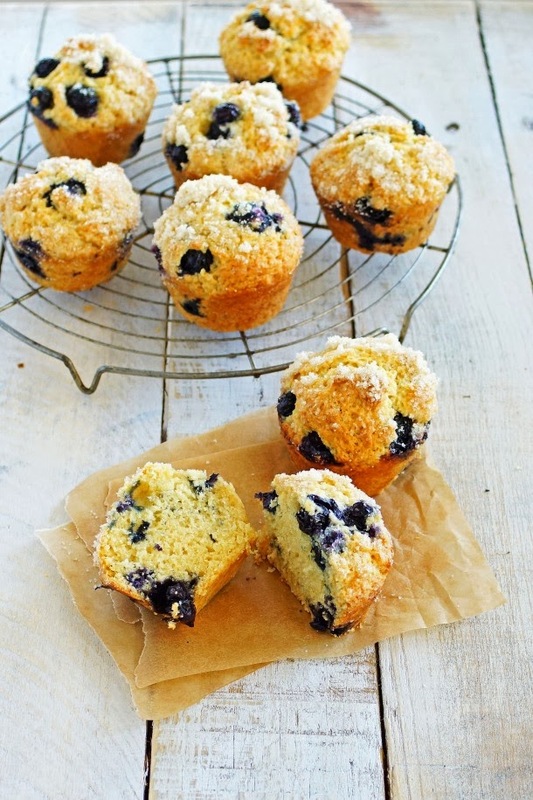 A batch of blueberry ricotta muffins (to die for - I tasted one) to give to Pablo's friend (he lives around the corner from us and his mom passed away suddenly and unexpectedly on Christmas Day). 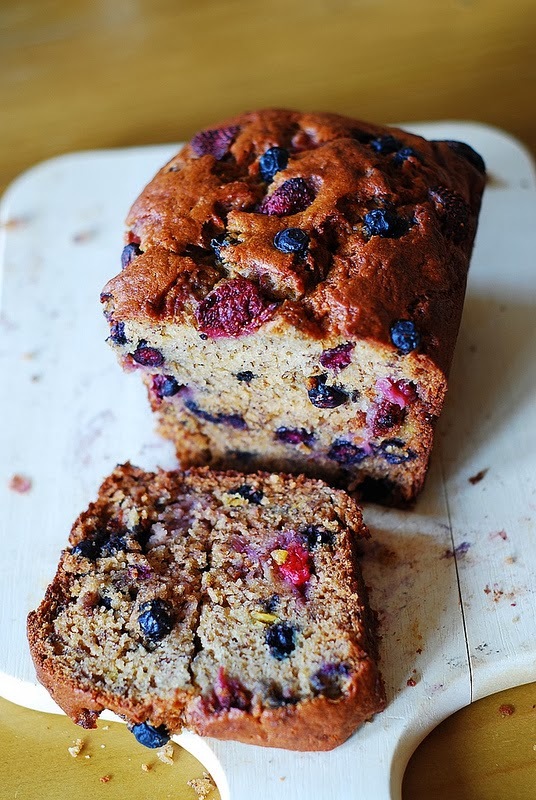 I also baked some strawberry banana bread with blueberries for the kids to take to school for the week. 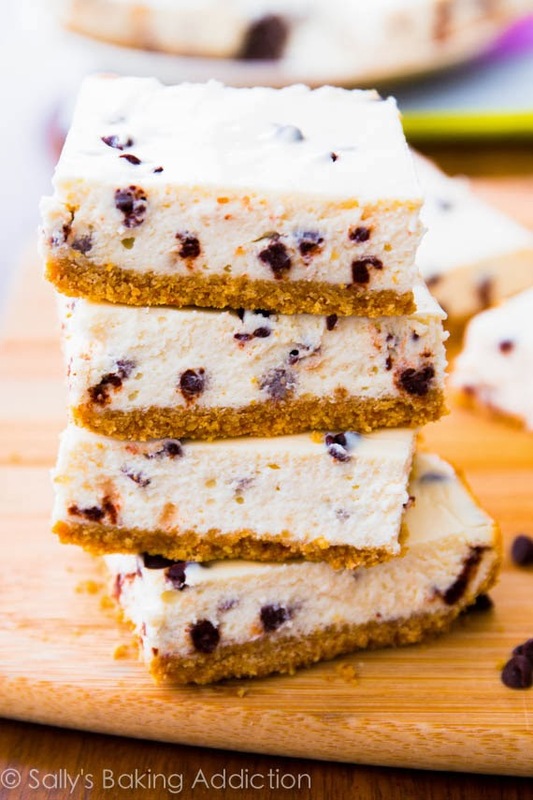 And lastly, I wanted something sweet and decided to try these skinny chocolate chip cheesecake bars (only 128 calories per bar! ).